There’s an unexpected upside to the introduction of Uber into more and more U.S. cities, according to a study published earlier this year: the service helps reduce drunk driving fatalities. The entry of Uber X — driving services offered by people using private vehicles — into a new city decreased drunk driving deaths by an average of 3.6 percent, according to the study, funded by Mothers Against Drunk Driving and Uber and carried out by researchers at Temple University. The difference took about nine months to take effect, they found. No similar benefit was found for the entry of Uber Black, the luxury driver service offered by the same company. 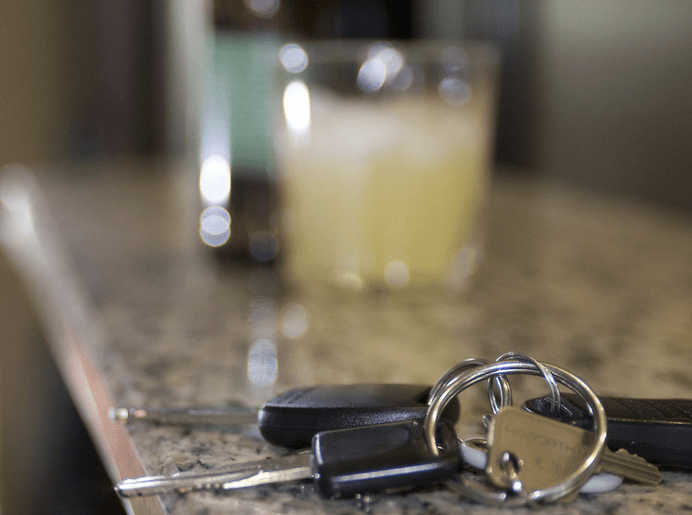 The study concluded that would-be drunk drivers appear to be sensitive to price as well as the availability of driver services. In others words, Uber X makes it easier and cheaper to hire a driver, offering an alternative to drunk driving for a small but significant percentage of the population, the authors concluded. On the other hand, the availability of a more expensive but more accessible driver service than a traditional taxi — Uber Black — did not seem to impact drunk driving behavior. bizarre to me that the reduction in drunk driving deaths is “unexpected” to the author. seems completely logical to me. So it is all okay to screw the taxi profession with gig economy drivers and cars that Uber doesn’t own. Got it. What’s the difference with the studies sponsored by Coca Cola or other companies? “decreased drunk driving deaths by an average of 3.6 percent” – if that’s the case, then I say Yes, it is OK.
i hope taxis either reform or go extinct – they have been far too slow to adapt to modern payment technologies. people wouldn’t use uber unless it offered services that are better/cheaper than taxis. here in chicago, we have uber taxi, anyways, so it’s always an option. Ah yes, a study funded by Uber plus MADD (who are also funded by Uber) comes to the conclusion that Uber is a good thing. The study cited here is a followup to an earlier study funded by MADD and Uber. I see no evidence that they funded the Temple University research. Makes sense, having access to reliable point-to-point transportation definitely reduces the temptation to try to drive home after drinking too much. Weren’t there numerous studies proving the safety of tobacco, produced under similar circumstances back in the day? Exactly, the best way to prevent someone from doing something you don’t want (drive drunk) is to give them a better option (ride in an Uber). As Uber expands into smaller cities and suburban areas where hailing a cab isn’t an option, I imagine the impact of Uber will be more significant. The problem is not the app and the payment system, but the usage of gig drivers and the cars they own. It is cheaper because the cost that are burdened generally by the cab companies are transferred to the gig drivers and the public in general. There are mom and pop taxi companies in the suburbs too, providing service to those without an app and credit card but are confined within their service area. TNC gig drivers are just another layer of unequal competition. That would likely force suburban taxis to become TNCs, which from policy and equity level I don’t think it is desirable. Please clarify “screw the taxi profession”. Taxi drivers are exploited big time, the winners in the days before Uber are the taxi OWNERS. Uber is used by consumers because it’s inexpensive and readily available, AND because when taxis were the only game in town and a rider was somewhere else besides the airport or a hot tourist spot, you had to wait, and wait, and wait, and then be happy with crappy service and a bad attitude. This observation is based on first hand experience, so I have no sympathy for the taxi industry boohooing that they are losing money to TNCs. That’s what happens when you try to conduct business like you’re in the 1980s and ignore innovation. The results of this study should come as no surprise.